LIFE FORCE: Graham's upcoming second anthology is steeped in memory and landscape. In 2009, Millicent Graham put the literary world on notice with the release of her spellbinding debut poetry anthology, The Damp in Things (Peepal Tree Press), which more than lived up to the hype that preceded it. 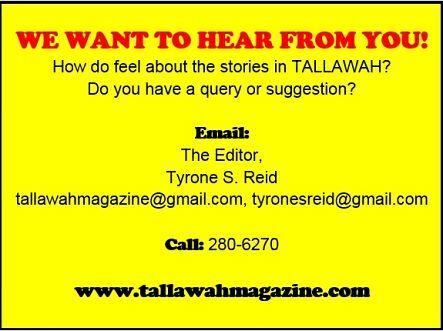 Five years on, the Jamaican authoress, widely considered (and rightly so) a new-generation Olive Senior, is back with another sample of the journey she is making. 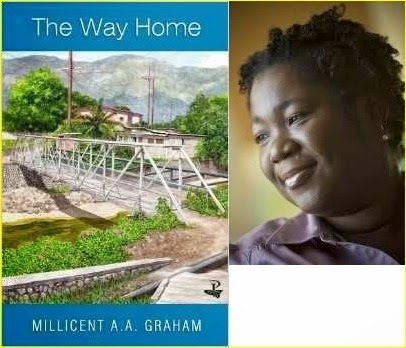 The Way Home, her sophomore collection, arriving on June 1 (she's still with the Peepal Tree family) finds Graham, an exemplary product of the Wayne Brown school, focusing her lens on such themes as memory and landscape, and the very idea of home as both a physical and emotional space. These are finely crafted poems imbued with the scribe's signature blend of atmospheric setting and lyrically transporting imagery. With critically laureled efforts like By Nightfall and The Hours (which Stephen Daldry adapted for the screen with Academy Award-winning results), Michael Cunningham proved his deftness at keenly examining the price of human frailty and tragic yearning. Fans of the masterful storyteller won't be disappointed when they pick up his latest, The Snow Queen (Farrar, Strauss and Giroux), which goes on sale May 6. In spite of its magical, fairy-tale-sounding title, the book is actually set in New York City and spins the tale of two brothers: one who finds religion after witnessing a compelling vision in Central Park, while the other sadly turns to drugs to inspire his songwriting. Apparently you can go home again, or so finds the young Nigerian protagonist at the heart of Nigerian-American Teju Cole's much-anticipated new novel, Every Day is For the Thief (out this week from Random House), which chronicles a young Nigerian based in New York City who returns home to Lagos for the first time in 15 years to find the big city both familiar and strange. "Cole is among the most gifted writers of his generation," proclaims Calabash 2014 co-headliner Salman Rushdie, who has joined the likes of the New York Times, the Chicago Tribune, Marie Claire and CNN in declaring Cole's book a funny, mournful, and acerbic portrait of modern-day Africa. Few writers know the African-American pop-culture landscape as intimately as Nelson George (also a noted critic and filmmaker) whose acclaimed books include the memorable hits The Death of Rhythm and Blues (2003) and 2005's Hip Hop America. This month marks the release of The Hippest Trip in America: Soul Train and the Evolution of Culture and Style (William Morrow Press), which the Washington Post hails as "an authoritative history of the groundbreaking syndicated TV show that became an icon of global pop culture. Ever wondered who ranks as the most powerful woman on the internet? That honour easily falls to Arianna Huffington, who revolutionized the online reading experience with the Huffington Post, now a global brand and the gold standard for Web journalism of all stripes. To say the least, Arianna has managed to redefine what it means to be a successful journalist in today's ever-evolving world. How does she do it? In her must-read new book Thrive: The Third Metric to Redefining Success and Creating a Life of Well-being, Wisdom and Wonder (Harmony Press), she puts forward candidly insightful arguments centred on her own challenges of managing time and raising daughters. As with most of Arianna's previous publications (over ten and counting), she draws on the latest groundbreaking research in the areas of psychology and physiology to highlight the advantages of, among other things, profound meditation and mindfulness, terrific tools in achieving that much-sought-after balancing act.